An incredible blend of the original style and high-quality materials, used during the production, the absolute compatibility of the movement and the case shape. That is TX watches, representing the marriage of precise instrumentation and pure aesthetic form. Nowadays, the consumers demand the unification of the presice movement, the unusual design and cutting-edge materials. TX watches satisfy this claim. TX is a new category of watches, that belong to the class of the elite and luxury timepieces. Quality is the main principle, the basis of the design development and production of every model by TX. Every TX watch reflects the goal of developers and designers, working on it: to create the watch the consumer will be proud to wear. 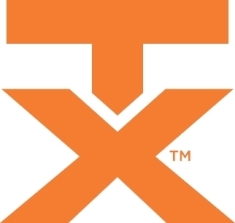 TX brand was launched in 2005. The first step was the creation of the movement, that was developed over 5 years in the city of Pforzheim (Germany). The TX watches embody the desire for the high horological standards. The commitment to high quality is an essential principle of every company's product. TX watches perfectly combine the American innovation, the German engineering technology and the elegant Italian design. This combination has resulted in the creation of new watches with the perfect design and dynamism, that have worked up the market. TX watches were developed specially for those, who prefer to live fast. These timepieces will surely suit the tastes of people, who are full of adventure. The whole process of watch development, starting from the production of watch parts and finishing with the movement assembly, is supervised by the competent engineers and watchmakers, who thoroughly check the quality of watches before they will be packed and prepared for shipment to the customer. You can buy TX watch through the company's authorized distributors worldwide.